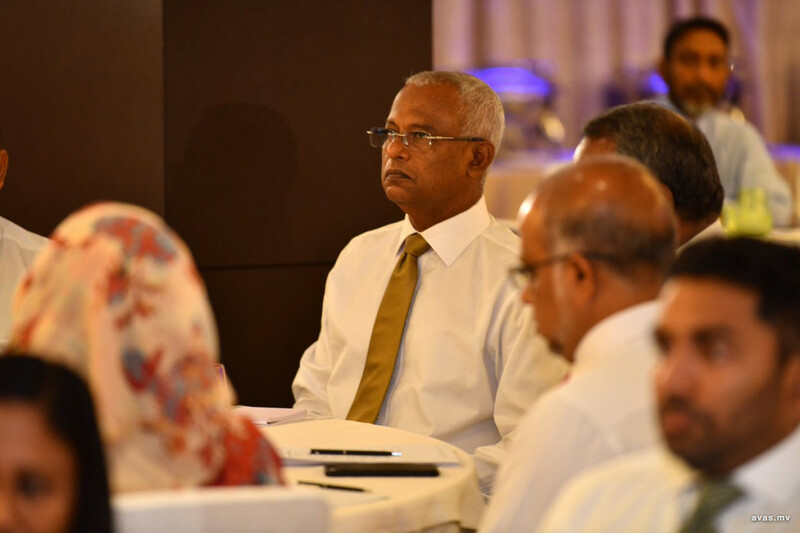 President Ibrahim Mohamed Solih on Sunday said the development of the nation has stagnated due to centralization. Speaking during the opening ceremony of City and Atoll Council Symposium held in the capital Male as part of the government's 100 working-days key pledges, president reiterating his commitment to empowering local councils. He also noted that the government will allow the Island’s community to plan their progressive activities and will provide adequate budget and administrative power to reach their targets. Highlighting the aim of the symposium, the President noted that this symposium is targeted to clarify the challenges faced by the councils in providing needs of the Island’s community and providing solutions for those issues. Moreover, the President appealed participants of the symposium to carry forward discussions in bringing overall solutions to the decentralization process. In this regard, the President requested to give priority for discussions on council representation. The President, also shed light on some of questions raised by the community regarding decentralization and appealed the participants of the symposium try finding answers and solution for concerns that were raised. Speaking further the President emphasized on the importance of providing adequate budgets to the councils. Therefore he noted that fees collected from Island’s Municipal services should contribute in the development of the island. At the event the President noted the importance of empowering women and also shed light on progress that could be achieved by empowering women. During the ceremony the President noted that the Local Government Authority is responsible for monitoring activities of councils. Therefore he advised them to provide solutions for issues faced by councils and to help build a better future for this system. He also appealed them to stay away from political influences and carry their task forward responsibly.